Imagine sitting down this weekend and changing the way next week turns out. Imagine a clean desk, an organized week, and a prioritized time management system that lets you put aside distractions and get things done. Imagine setting some goals and actually achieving them. For years, I wanted to be able to do this. It all sounded so easy, yet every time I got started, I found myself distracted and buried under a stack of papers, books and clutter. Within minutes, I’d given up for another week. Week after week this happened. I began to think it was impossible for me to get organized, much less reach my goals. I read books, listened to tapes, and tried all sorts of organizational strategies. Some of them actually worked… a little. That was until I got frustrated, tired, and even more disorganized trying to sort through tons of assorted items. The problem was, I was not good at making decisions. When I would pick up a piece of junk mail and look at it. I couldn’t decide whether to keep it, file it, or throw it away. When I finally made a decision, I realized I didn’t have a designated place for it to go. That’s when the system failed. It would stop me cold. In frustration, I would get up and walk away. One day, when I got up, a whole stack of papers crashed to the floor. I had clutter everywhere. I sat at my desk, head in my hands and almost cried. What a total absolute mess! But right then was when the solution came. Right then, in the middle of despair. I got so mad that I threw things. Everything came off the desk. All of the clutter on the floor. Through this trying time, I came up with some quick and easy to implement solutions that I’d like to share with you. Get your desk cleaned off in just minutes. 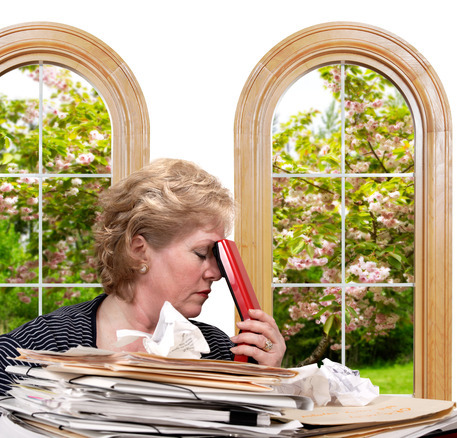 Develop a de-clutter system that almost eliminates decision making. A simple, easy to implement filing system to help you get organized. 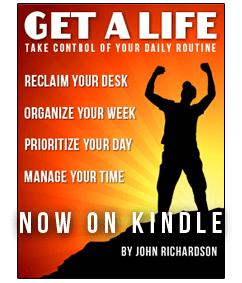 A time management system to help you focus and actually get things done. In just a few short hours you can get ready for personal success. You’ll have the tools at your fingertips, ready to go for next week. Now all you need is some personal success goals. That’s where my second book comes in. 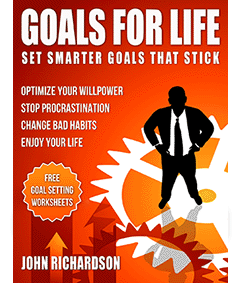 In Goals for Life, you discover some tools to quickly turn your dreams into workable short and long term goals. You’ll learn how to overcome bad habits and actually use them to foster your success. Each book can be read in under an hour and the included free downloads can be printed and implemented in just minutes. Here is my author link. It’s Friday afternoon. You are finally ready to take the plunge and leave corporate life behind. You walk out of your long time job, say goodbye to all of your friends, and head out to the unknown. Or maybe, it’s Friday afternoon and you are called in to the boss’s office. You are told, along with 50 other people, that your job has ended, and your services are no longer required. You are escorted from the building. You are now facing an uncertain future. In either situation, you have choices to make. This new organization needs a whole new skill set based around organizational leadership for entrepreneurs. While formal business management training may be useful, you need to get up to speed fast armed with the latest technology and research. You need to know how to navigate the marketplace and find your unique niche. 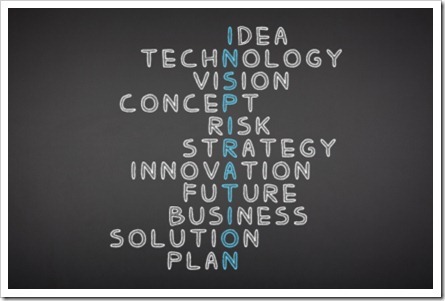 While some of the ideas can be daunting at first, the main thing you need to get started is a little inspiration. I have five resources that you can buy for under $100, that will help you get up to speed fast. 1. Financial Skills: Now that you are on your own, one of the first areas of concern is money management. 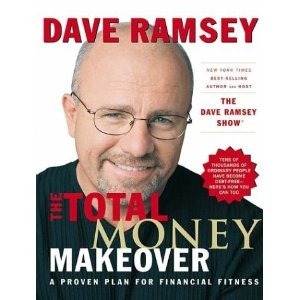 Talk show host, Dave Ramsey, takes a no nonsense approach in his book, The Total Money Makeover. You’ll learn how to get out of debt, create a budget, and plan for your financial future. He’ll help you make intelligent financial decisions. 2. 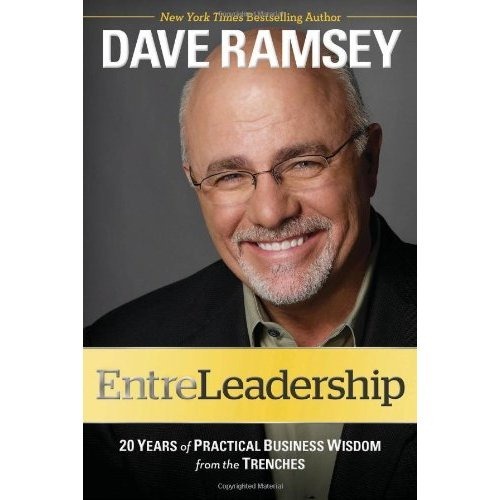 Leadership For Entrepreneurs: Dave Ramsey has over 20 years of practical business wisdom from the trenches to help you build your leadership skills as an entrepreneur. He will show you how hire employees, build a team, and set a vision. His new book, EntreLeadership, will give you the courage and insight to make wise business decisions. 3. 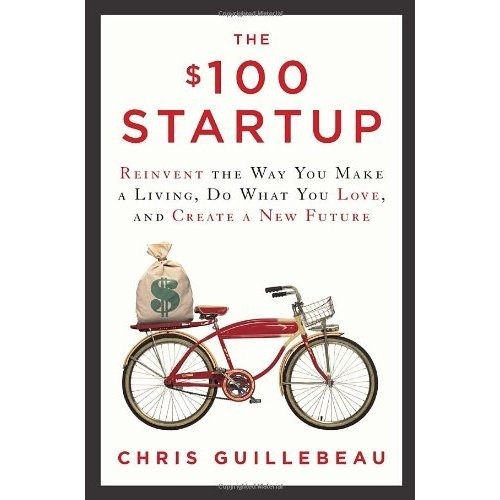 Create Your Own Startup: For as little as $100, Chris Guillebeau will show you how you can start your own profitable business. With over 1500 examples refined down into 50 case studies, Chris has distilled these startup techniques into a workbook that can help you quickly get up to speed. He shows you how to lead a life of adventure, meaning and purpose. 4. Create A Platform: In today’s world, it’s not enough to just start a business, you have to actively promote it. To do this, you need to build your own platform. 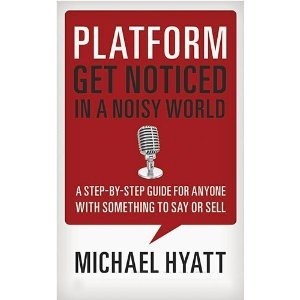 In his insightful new book, Platform: Get Noticed in a Noisy World, leadership expert Michael Hyatt shows you how to create your own unique brand and share it with the world. 5. 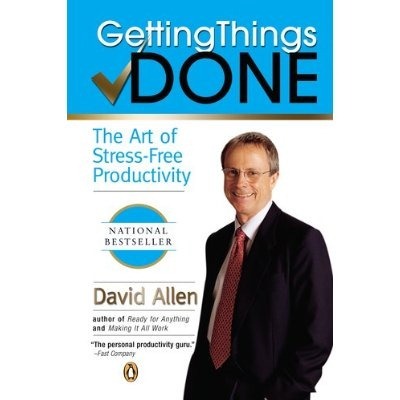 Get Things Done: In his classic work, author David Allen, presents his breakthrough methods for stress-free performance and increased productivity in his popular book, Getting Things Done. He’ll show you how to do it, delegate it, defer it, or drop it. He’ll help you get more done in less time, with a minimum of stress. Just the thing you need to get your new business off the ground. 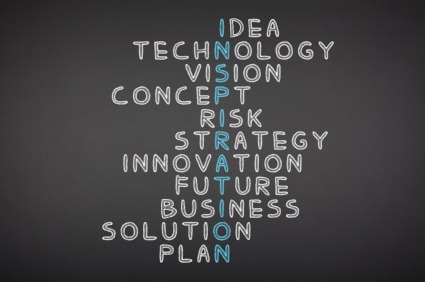 Overall: These five helpful organizational leadership resources will help you take your business ideas and turn them into reality. It’s the New Year and time to get back on track. Resolutions are not enough. We need some solid goals and action steps for the New Year to get us off our “buts” and get going. To help you get started, I’ve compiled a list of some of the best goal setting tools and information in the Personal Development arena. 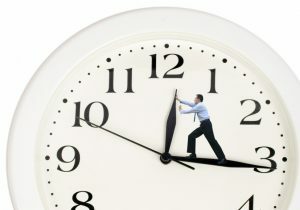 These powerful action based tools can help you get a great start, and make 2012 the best year yet. 1. Twenty Steps. The first place to start is to determine your top goal for the New Year. Brian Tracy talks about a simple technique to help you find your top goal in his book, Success Secrets of Self Made Millionaires. It’s actually rather simple. Take out a sheet of paper and write down ten goals you would like to accomplish in the next 12 months. Things you want to have, do, or become. Look at all ten goals and ask yourself this question. If you could only accomplish one goal on this list, but you could accomplish it in 24 hours, which one would would have the greatest impact on your life? Brian says in most cases it will jump out at you. Write the goal down in bold writing and set a completion date. Turn the paper over and write down twenty action steps to accomplish this goal. This step will be easy at first but will become harder as you progress down the list. Don’t stop until you have filled in all twenty. To make this easy for you, we have a free worksheet to get you started. 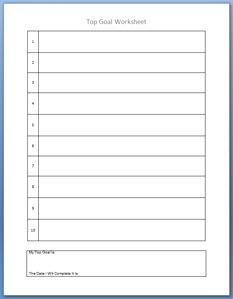 Just download the two sided MS Word document called the Top Goal Worksheet that has ten boxes on the front and twenty on the back. Unzip it, and open both sheets in Microsoft Word. 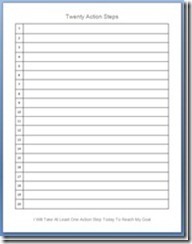 You can add text to the document in Word or print it plain to fill in with a pen or pencil. 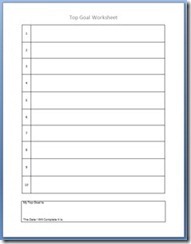 When you are ready, print it front and back on both sides of a sheet of letter sized paper. To fill it out, just follow the four steps above. 2. Goal Setting Toolkit. Now that you have your top goal written down, along with some action steps to take, you’ll need to keep this goal top of mind. The easiest way to do this is to write your Goal(s) down using our Goal Setting Toolkit. This kit includes 9 different pocket sized cards that you can take with you in your pocket or purse. You can stick the cards up at work, at home or even in your car. You’ll find complete instructions for using this kit here along with the free download. 3. Daily Planner. Now that you have your goals set and your action steps listed, it’s time to take daily action. This is where the daily planner comes in. This one sheet, MS Word document has a place at the top for your top 6 priorities for the day as well as a complete section for creating a daily to-do list. 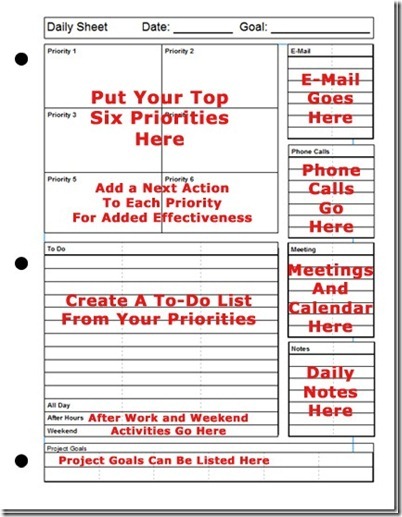 It’s simple to use and it will keep all of your priorities listed in one spot. You’ll find complete instructions here. Overall: These three items should get you started for the year. Why not take some time today to download them and put yourself in the driver’s seat for the New Year. Question: What Is Your Top Goal For The New Year? Have you ever wanted to make time stand still. To stop everything around you and have utter silence. To look around and have everything stopped… no cars honking, no TV’s blaring, no children crying. Wouldn’t it be nice to have a switch that you could turn time off with. You just flip it and everything stops. You flip it back on and everything starts back up. Imagine what you could get done. Imagine getting caught up on all of your projects and having time to plan out your life. 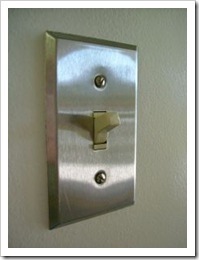 Once you are done, you just flip the switch back on and you are instantly caught up. No more stress, no more madness. 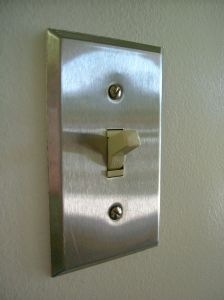 While I haven’t invented a switch like this, I can show you how to simulate it. It takes a little preparation and a small wind up device, but soon you can make time stand still for yourself everyday. 1. Time: You need to find a time when those around you are asleep or gone. For some of you that might mean waking up early, for others staying up late. If you are at work, it might mean lunch time when everyone is gone. You need to plan on a quiet hour of time. 2. Place: You need to find a quiet place without distractions. This may be at home, in your office, or outside. You want to find a place that will not interrupt you for at least an hour. 4. Task: The secret is to choose ONE task and do it for 48 minutes. This might be reading, writing, or working on a project. It might be running, walking, or working out. If all the distractions are off, you should find clear sailing to accomplish your task. When you are done take a 12 minute break. Repeat as necessary. Let me give you some examples of how I have used this technique to get things done. For me, early morning is the quiet time around my house. I get up at 4am. Everyone else is asleep. Here are some projects and places that have worked for me. Blogging: I turn on the computer at my desk, but I leave e-mail and the internet off. I set a digital timer on my screen. I open my blogging software and write a post for 48 minutes. I watch the timer and try to be finished before it goes off. As I’m writing I may need to open my browser, for links or graphics. I am usually able to write an effective 300-500 word post in this time. Longer or more extensive posts take 2 sessions. When I’m done, I take a 12 minute break while I upload the content online to my blog. Writing: I open my laptop, and sit in a comfortable recliner in our den. I set an on-screen timer for 48 minutes and start writing. I make sure all external distractions are off. No internet, e-mail or TV. I write until the timer goes off. When the alarm sounds, I take a 12 minute break to get a drink, use the restroom, stretch etc. When the break is over I do another round. I used this technique to write my first book draft in just over 3 months, writing for two sessions per day, five days a week. I’ve written extensively about the Power of 48 minutes over the years. It has truly changed my life, and allowed me to complete things that would otherwise go unfinished. The real secret is doing one thing at a time without distractions. 48 minutes works well, because it is 80% of an hour and it divides very well into smaller pieces (1/2 = 24 min, 1/3 = 16 minutes, 1/4 = 12 minutes, etc.) You can divide larger tasks into manageable pieces and track their progress. Question: What would you do if you could make time stand still? Why Is It So Hard To Get Things Done? Life can be so frustrating. There is so much to do and so little time to do it. Everybody seems to want me to do something for them. The government wants me to file taxes, fill out forms, and spend lots of time with tedious details. My mailbox is full of ads that want me to spend money, try out the latest new gadget, or eat at their fancy and expensive restaurant. How can I get it all done? Sometimes I wish there was more time in the day. Maybe 25 or 26 hours per day would do it. Maybe if I cut back on sleep, that would help. Maybe I can learn to say NO! Yet one thing is for sure… time never changes. We all have 24 hours in a day… no more… no less. We can’t stop time. It always marches forward. We can’t go back in time. We can only take action… now. Yet we act like we have control. We think we can master the clock. But just when we think we have it conquered, it starts ticking again. Wouldn’t it be nice if we could just pause the world, and get caught up? Imagine pushing a button and everything around us stops. Imagine what you could get done. Do you want to experience it? Question: What would you do if you could stop time? I spent the weekend cleaning up old profiles, and working on some new time management material. 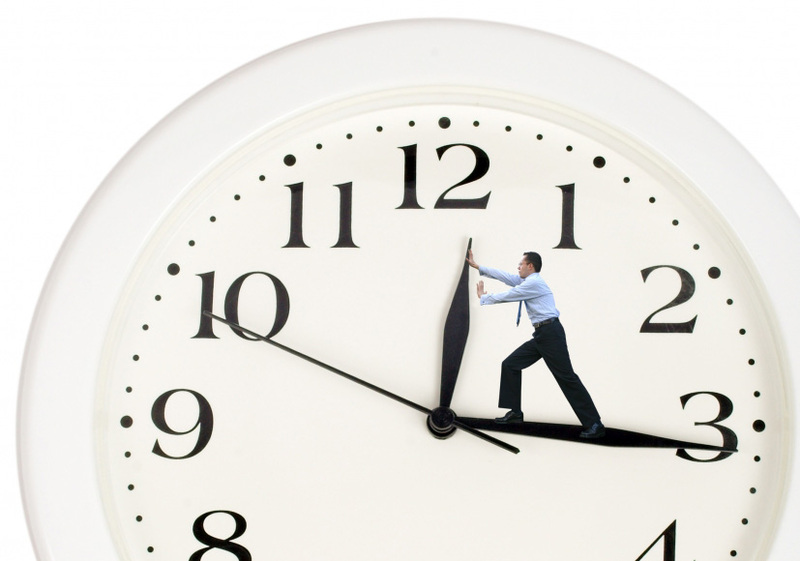 As I considered the time I spend blogging, I realized how inefficient I have become. My life can easily become filled with distractions, which can fill minutes, hours, and even days. Sitting down and focusing on a post takes discipline. I wanted to once and for all figure out how long a post should take and set aside a daily time to efficiently do it. I wanted to truly define… what is the minimum effective post? How many words should it have? How many links should it include? How many pictures, if any, should be attached. My actual keyword density is good and the keywords are found both in the title and the text. So now I need to fill in the rest of the text and insert some hyperlinks. I also need to add alt text to the two graphics on the page so they will be seen by search engines. So if I need 300 words minimum for effective SEO, how long will that take? I’m a rather slow typist at 25 words/minute, so if I was able to type straight through, 300 words would take a minimum of 12 minutes. If I doubled this, I could actually do a post in 24 minutes. This would give me time to insert graphics and hyperlinks. To be able to do this properly, I would need to be prepared ahead of time. It would be helpful to have graphics and links sourced before I start, and the post setup with a basic outline. All I would need to do is fill in the text, insert the graphics, and highlight the hyperlinks. So… here is a proposed workflow. On the weekend before, outline 5 theme based posts, source graphics, and look up related links, quotes, and websites. Store all of this material in Evernote. Put together a weekly wrap up post with the links, outlines, and a few of the graphics, that will go live at the end of the week. Spend no more than 45 minutes on this task. During the week, just open the outline in my blog editor, add the text, links, and graphics. Try to keep the post from 300 to 500 words. Set a writing goal of 30 to 45 minutes for each post. Then just write and post. Boy this sounds easy doesn’t it. Let’s see if it actually can be done. Next, we’ll look at how long it should take to create an effective video post. Question: What effective procedures have you found that work for blog posting?